"The more that you read, the more things you will know. The more you learn, the more places you'll go." - Dr. Seuss, I Can Read With My Eyes Shut! 20 years ago, four lay leaders with a passion for community service dedicated their time to promote literacy throughout the community. 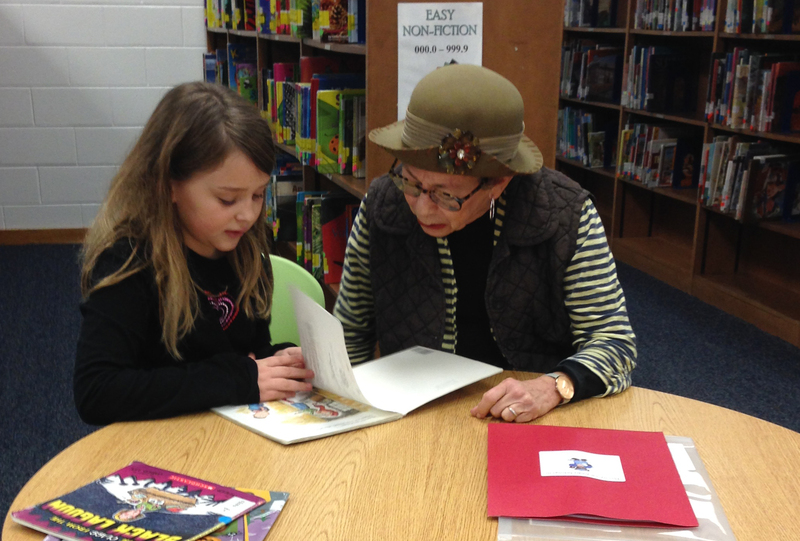 The Be A Reader (BeAR) literacy program, part of the Community Relations Council of United Jewish Federation of Tidewater, was created as a community-wide effort to help at-risk, struggling readers acquire the skills and love for learning that lead to personal happiness and future success. Since 1999, more than 1,500 children have benefited from the program. BeAR is in eight Title I elementary schools and pairs a volunteer mentor with a student for an hour each week. BeAR provides students with at least five books for their at-home library, school supplies, and a time commitment each week throughout the school year. Because there is no shortage of children that need assistance, the program’s capacity is solely dependent on the number of volunteers that sign up. Research shows that up until third grade, children learn to read. Beginning in fourth grade, children read to learn. If the child has not yet mastered reading, they begin a downward spiral that is difficult to correct. Receiving even minimal intervention by third grade, research shows that the opportunity to improve increases dramatically. The volunteers and children read aloud once a week at elementary schools in Norfolk and Virginia Beach. Beyond reading, the volunteers help students with spelling, vocabulary, and classroom reading assignments. They also provide these students with a sense of stability and become more of a mentor as the relationship progresses. Join our community in helping children learn to read. Whether through volunteering, giving supplies, or donating, you can help make a difference in a child’s life. The Be A Reader program, as part of the Community Relations Council of United Jewish Federation of Tidewater, is generously supported by Nancy and Chuck Rosenblatt honoring Doris Rosen and Trudy Rosenblatt.